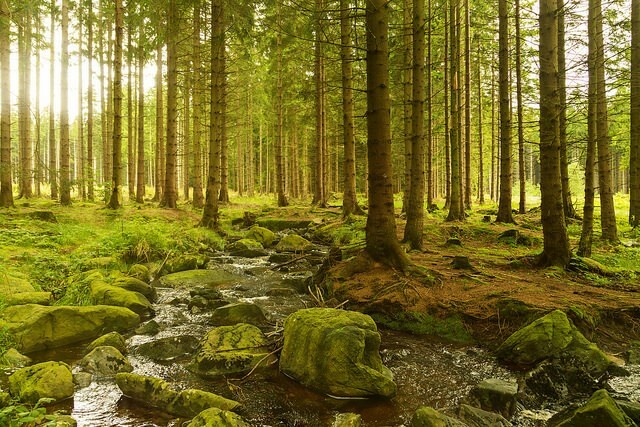 Forests are key in the terrestrial carbon cycle. Studying the seasonal drivers of carbon storage in wood (Wagner et al. 2016) is however labour intensive and mainly descriptive. In this project, we aim at developing an innovative and quantitative method for mapping of intra-seasonal carbon storage using X-ray computed tomography and X-ray fluorescence scans of micro-cores. We will develop suitable protocols for sample preparation, sample staining as well as software development for automated X-ray CT scanning and analysis in function of wood formation, more specifically cell enlargement and cell wall thickening, working on wood species of both temperate as well as tropical regions. This innovative work will be benchmarked against the conventional techniques. The project Model-Coupled 4D-µCT for Advanced Material Characterization (abbreviated MoCCha-CT) is a large-scale research project with economic finality. It is funded by the Research Foundation - Flanders in the Strategic Basic Research Programme (FWO-SBO). During the project we will develop several tools for X-ray imaging of dynamic processes in materials. 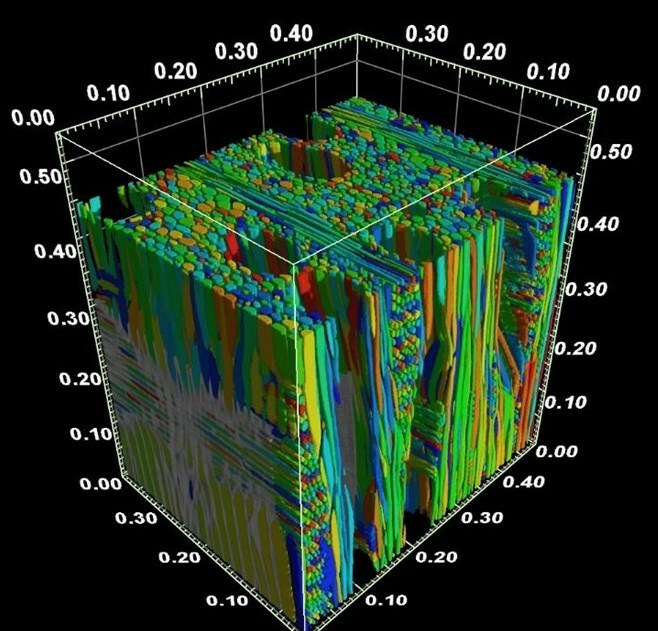 Through a bi-directional coupling of this improved imaging data to simulation models, an enhanced scientific understanding of dynamic processes and structure inside samples will be accomplished. As such, the project's achievements will allow materials scientists to develop better and more sustainable materials. The UGent-Woodlab group will focus on renewable re-engineered materials, mainly made from wood. > More info on the MoCCha-CT website. The Belgian Science Policy Office funded “Congo basin eco-climatological data recovery and valorisation (COBECORE, contract BR/175/A3/COBECORE)” project brings together an interdisciplinary network of partners with the objective to establish baseline measurements necessary in long-term (retrospective) ecological and climatological research by valorising unexplored historical data. In this four year project COBECORE will develop a multi-faceted database, by making the static analog archives of the Institut National pour l’Etude Agronomique du Congo belge (INEAC) digitally accessible in addition to extracting eco-physiological relevant plant traits from historical herbarium specimens. > More info can be found on the COBECORE website. 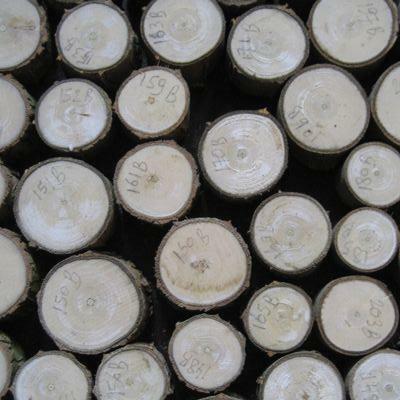 To optimise regional wood production while sustainably managing forests, detailed information of the spatial distribution of tree species within that region needs to be coupled to supply chain data. A methodology is being developed on a European scale with focus on France, Luxembourg, Belgium and Germany. The objective is to look whether spatial changes in beech, oak and spruce, due to strategic management decisions and changing wood processing markets, cause significant shifts in the supply chain of related products. Therefore supply-chain network optimisation and spatial modelling techniques will be coupled. There is a clear shift in the construction sector towards sustainable buildings. Bio-based materials, e.g. wood, wood engineered products, bamboo, flax, hemp, etc., are key in this context. At one hand, bio-based materials are biodegradable thus simplifying the end-of-life processing. At the other hand, when favourable moisture and temperature conditions are present, the functional and aesthetic service life of bio-based materials can decrease by fungal disfigurement and degradation. By means of this project we want to gain more insight regarding the fungal susceptibility of bio-based building materials. The role of a material’s spatial structure, chemical components and moisture dynamics on its fungal susceptibility is unravelled by making use of state-of-the-art optical (2-D) and X-ray CT (3-D) imaging and related processing. Tropical forests are in the focus of international efforts on climate change mitigation and biodiversity preservation. Up-to-date forest management, conservation and enforcement mechanisms need to be founded on solid science. Worldwide, the federal Xylarium (RMCA) and Herbarium (Botanic Garden Meise) are by far the most important reference collections for Central African forests. Still, they can both be considered 'sleeping beauties' because substantial scientific research is necessary to exploit fully the invaluable information sources and to make the collection databases compatible with international databases online available (TRY, DRYAD, GBIF, GlobAllomeTree). In order to renew, complement and strengthen the reference value of both the Herbarium and the Xylarium, HERBAXYLAREDD aims at generating knowledge, through analysis of specimens, traits and meta-data, on Central African forest ecosystems and forest products. Newly generated data will allow exploring functional strategies, growth and the genetic structure of tree species, an optimized distribution map of tree species, technological aspects of lesser-used timber species, carbon stocks of forests and energy content of Central African woody species. Given the high diversity, we will focus on the following target groups: undergrowth versus dominant forest species, lesser used timbers and species for bio-energy. UGent-Woodlab will put their main focus on the wood technology of these lesser-used timber species with the development of an in-depth methodology to determine the dimensional stability in the first stages of the project. Later on the focus will shift to color-measurements of several timber species and the determination of calorific values and mechanical strength data. > More info on the HerbaXylaREDD website. 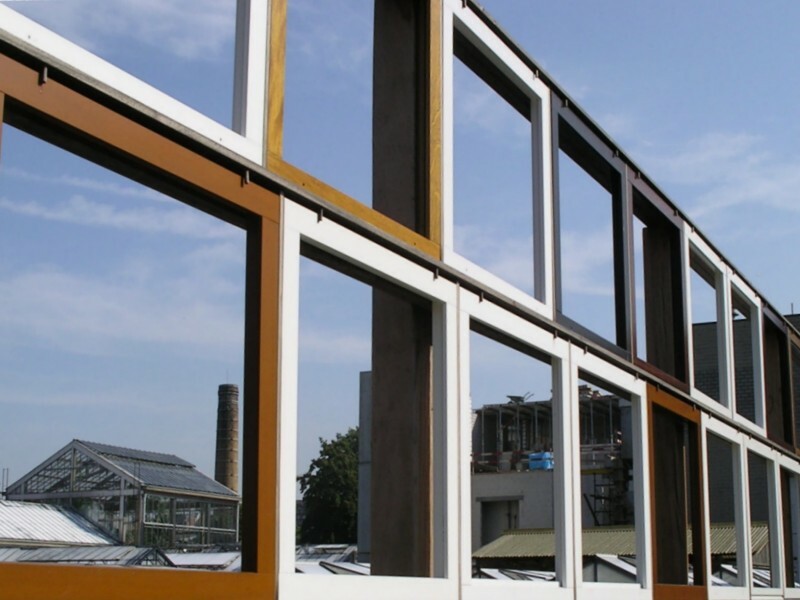 Due to the increasingly stringent energy efficiency requirements, timber frame constructions (often as low-energy or passive houses) can be found all over Europe. Though, the circumstances (indoor/outdoor boundary conditions, composition of the wall,…) in which the constructions are used often differ. This can lead to a different hygrothermal behaviour and increase the risk on early failing by mould growth and wood rot, especially with the growing tendency to use untreated wood. At present, several simplifications and shortcomings exist in the different research fields to predict and avoid moisture related biological damage in timber frame constructions in a reliable way. By joining the know-how and expertise of UGent-Woodlab and the Building Physics Section of KU Leuven (http://bwk.kuleuven.be/bwf lead by Prof. Staf Roels), the current project aims at the development of a reliable risk assessment methodology for mould growth and wood rot on timber frame constructions. This requires an overall methodology based on fundamental research and input on different aspects. First of all, as several of the determining parameters are stochastic in nature, a probabilistic framework is proposed. Focus will be on efficient sampling methods, sensitivity analysis and metamodelling to identify the critical influencing parameters and sequences of boundary conditions. In combination with advances in hygrothermal simulation of timber frame constructions and elaborated resistance prediction models based on dynamic measurements, an overall stochastic risk assessment method is envisaged. Within the framework of the selection and breeding of poplar clones for quality wood production, this study assesses some physical properties of various selected INBO poplar clones. Physical properties are analysed by semi-automatic processing of scanned wood disks and destructive and non-destructive measurements of the strength properties. Construction is the largest industrial sector employer in the EU. The “cradle to grave” aspects linked with the creation, use and disposal of buildings, however, create major environmental problems. Construction activities consume more raw materials than any other industrial sector; and as a result also account for the largest share of greenhouse gas (GHG) emissions: accounting for some 40% of the total GHG emissions in terms of energy use. Furthermore, construction and demolition activities produce the largest waste stream – some 25% of European total waste (78% of which is concrete cement-based products, 11% wood). Improving the durability of different construction materials, such as concrete and wood, would allow substantial benefits in terms of raw materials use, related energy consumption and CO2 emissions, and waste quantities. The overall objective of this project is to extend the lifetime and usability of constructions made of wood and/or cement, by applying environmental friendly silicon-based water repellents. This will reduce emissions of harmful volatile organic compounds by 80-90% in comparison with state-of-the-art concrete and reduce the use of biocides in the conservation of some wood species (e.g. pine, beech). To meet the demand for cherry wood for high-quality decorative applications one needs qualitative breeding material. 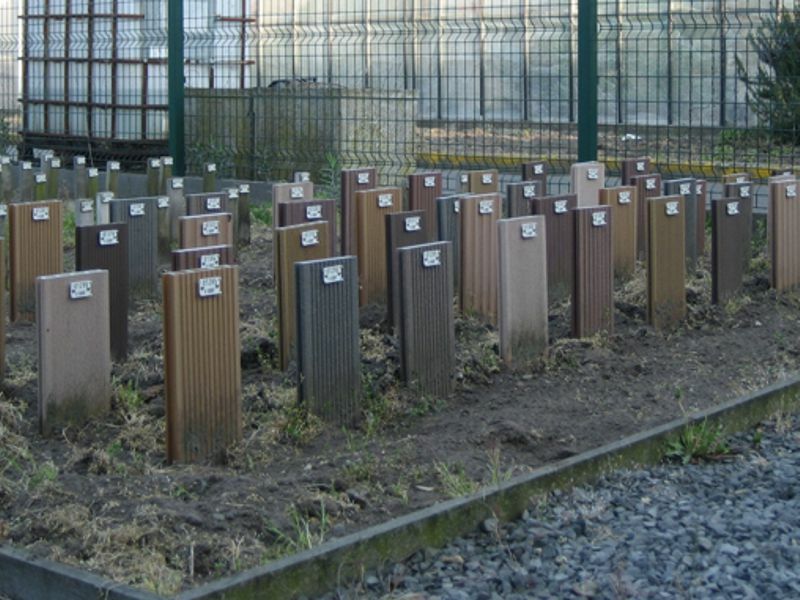 Trees from then different families of the INBO plantations in Borchtlombeek and Deinze were sampled to assess the use of some physical and colour parameters as selection criteria for breeding programs. 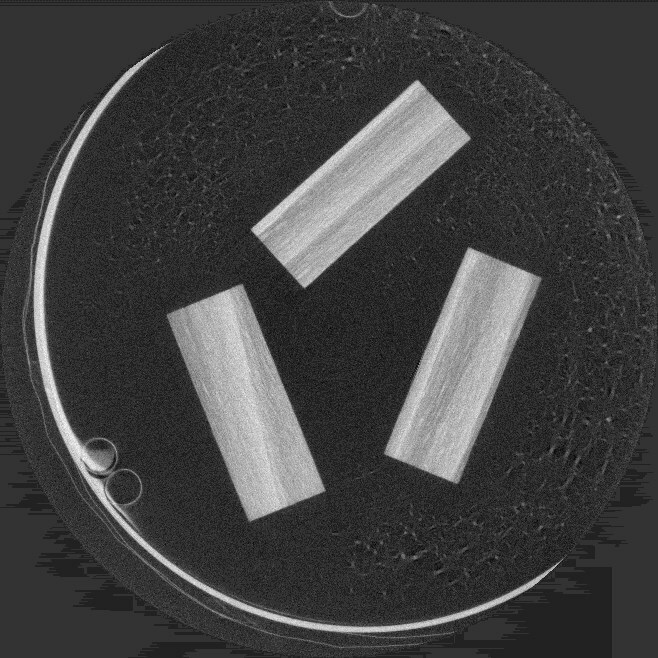 Physical parameters as basal area, density and heartwood, bark and tension wood portion were determined via differential weighing and image analysis of scanned disks. The colour of sap- and heartwood of boards was measured with a spectrophotometer and expressed in CIE L*a*b* values. Within the framework of the selection and breeding of poplar an willow clones for short coppice rotation this study assesses some physical and calorimetric properties of various selected INBO poplar and willow clones. Sampled trees were grown under different conditions, namely in Belgian vs. Italian climate or on polluted soils. Physical properties are analysed by differential weighing and semi-automatic processing of scanned wood disk, whereas the energy content of subsamples is determined using bomcalorimetry. The objective is to develop highly detailed measurements of tropical tree growth archived in tree rings and to link these with phenology, life-history strategy and response of trees to their environment and climate. The research will focus on African tropical forests in the Democratic Republic of the Congo (DRC) and will further build upon the archives of phenological records of the Forest Reserve of Luki and the vast amount of material present in the Royal Museum of Central Africa (RMCA). Based on latter available information, field work will be carried out in the Forest Reserves of Luki and Yangambi, including sampling and phenological monitoring of a selection of tree species which grow over a wide range. 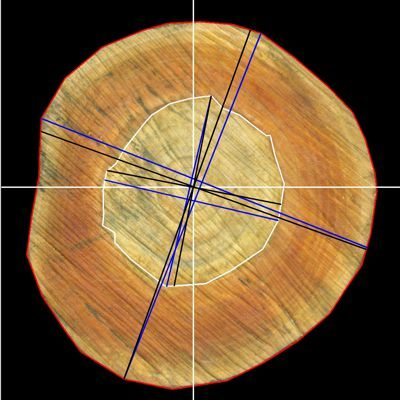 Tree rings will be investigated using dendrochronology, anatomical research and high-end techniques resolving structural and chemical information along the growth trajectory of tropical trees. Combining all datasets (phenology, growth, high-resolution data, climate etc.) will lead to important fundamental knowledge. Mapping this response of tropical trees to climate is necessary to understand the origin of the rainforest biodiversity and to predict its fate under current environmental changes and is also highly relevant for improving conservation and management strategies of tropical rainforests and assess their role in the carbon balance. Het project DO-IT HOUTBOUW focust op elke houten draagstructuur voor applicatie in nieuwbouw, verbouwing, aanbouwen of herbouwen. Een breed spectrum van typegebouwen wordt opgenomen binnen de projectdoelstelling (alleenstaande gezinswoning, rijwoning, appartementsgebouwen, scholen, kantoren en industriële gebouwen) met steeds focus op laag energie tot energieneutrale gebouwen (EU 2020 doelstellingen). De missie van het project bestaat erin houtbouw versneld uit te bouwen (2017) tot een volwaardige en flexibele bouwwijze met oplossingen voor elk type van gebouw en/of set van eisen binnen de Vlaamse context en aldus Vlaanderen een pioniersrol te geven om deze kennis ook te valideren in een internationaal kader (2020). De hoofddoelstelling van dit project is het brede spectrum van houtbouwsystemen sneller klaar te maken om de bijna energie neutrale gebouwen van de toekomst te kunnen realiseren. Hierbij wil het project de gehele houtbouwsector en zijn toeleveranciers ondersteunen om de aanwezige natuurlijke trend van meer houten gebouwen te versnellen en te versterken (cf. economische impact). Dit laatste wil het project realiseren door specifieke, gescoorde en gevalideerde totaaloplossingen met een onderbouwd en geïntegreerd instrumentarium (modellen, meetopstellingen,…) en blijvend innovatieplatform (webinfo, technische advisering, projectbegeleiding,…) aan te bieden ter ondersteuning van de hiervoor noodzakelijke investeringen. 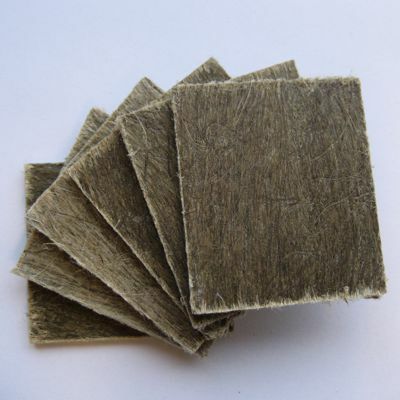 Up to now flax fibres for composite applications have been processed by traditional fibre extraction processes that were originally aimed at textile applications. Those treatments intended to come to fine and pure fibres forming a strong yarn are detrimental for the mechanical properties of the flax fibre itself as each extra processing step induces more damage to the fibre. Moreover, the strong twist of the fibres in a yarn caused misorientation and with that reduced stiffness and strength of the resulting composites. The goal of this project is to develop price competitive flax based preforms for high-quality composites. To reach this objective, first an evaluation method must be developed to select suitable flax fibres for composites. Furthermore the development and stabilisation of a continuous, homogeneous flax tape based on scutched flax and the optimisation of the fibre pre-processing (retting, braking, scotching) for the new developed process is planned. Ornamental plant cultivation has two important bottlenecks that can determine growth potential of the sector: the high dependence of peat for the production of qualitative substrates, while the availability of peat is not always guarantied and the raising restrictions on plant protection products. For the realisation of the production of sustainable substrates, this projects looks for the development of an innovative peat replacer that has disease and/or infestation suppressing properties by inoculating a biocontrol fungus on local available plant fibres (reed, miscanthus and flax shives). Major forest infrastructure will be opened up to researchers from the public and private sectors across Europe thanks to this project. For the first time key infrastructures within the European forest based sector, including databases, state-of-the-art analytical tools and predictive models will be integrated and made available via a user-friendly, central access portal. The four-year Trees4Future project aims to integrate major forestry resources and infrastructures, to provide the European forest-based and wider research community with easy and comprehensive access to currently scattered sources of information and expertise. UGent-Woodlab gives access to the X-ray tomography scanner and the DSC-TGA equipment (see Equipment page). Wood-based panels are increasingly used in the building industry both for outdoor as well as indoor applications, more specifically as roof and wall sheathing. These wood-based panels are as such exposed to a whole range of environmental conditions in service. Their structural bearing capacity is well-known in standard mean circumstances, but the influence of temperature, moisture, related dimensional changes and possible subsequent biodegradation on their strength is only revealed to a limited level based on fundamental knowledge. A crucial completion to the research on wood-based panels, more specifically particleboard and oriented strand board, is the elaboration on a fundamental model starting from the structural composition of these panels. This research foresees as such in an integrated view on panel behavior by modeling the mechanics of these wood-based panels like OSB in relation to the impact of moisture dynamics under specific climates. The project objective is to kick-start the development of new standards to enable the service life specification of wood and wood based materials for construction. This is critical to ensure the future sustainable use of European forests, to ensure customers of wood products get satisfactory and reliable products and to provide supplementary evidence for life cycle evaluations of construction products. This supporting action will utilise the wealth of research data that exists to analyse material test standards (CEN TC38) for their ability to inform on service life and performance. Historical field data will be reanalysed to extract more information on performance and this will be brought alongside service life expectation information gathered from various user groups. It will connect the material resistance with the moisture risk to inform on service life expectations. Charcoal can be formed during natural fires (lightning) or human-induced fires. It is an inert material which can be preserved in soil layers for a very long time. Moreover, as many anatomical details are preserved, it is possible to identify individual fragments. 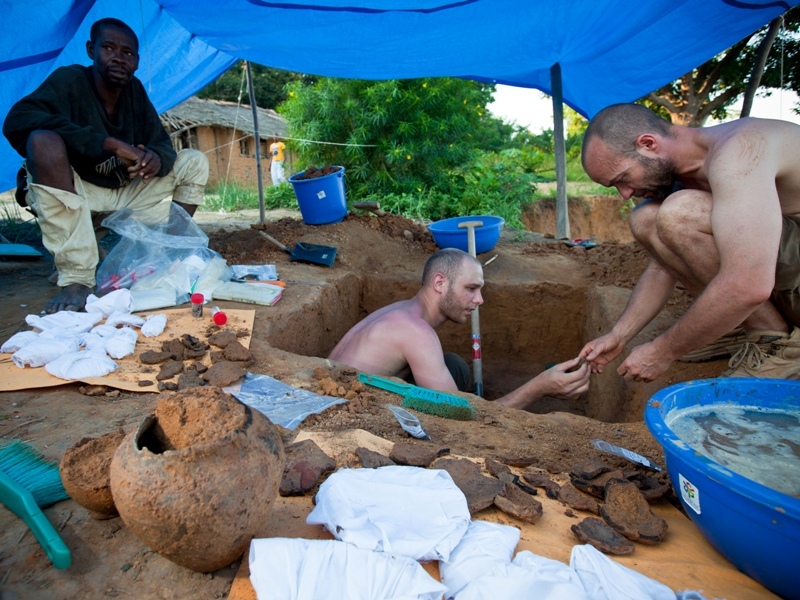 However, this 'natural archive' has never been explored in Central Africa. Therefore, this PhD project aims at the development of Central African ancient charcoal analysis. Charcoal fragments are collected in soil profiles in natural environments and in ancient human settlements. Some of these fragments are radiocarbon dated and visualised using Reflected Light Microscopy (RLM), Scanning Electron Microscopy (SEM) and Computed X-Ray Tomography (µCT). Furthermore, we developed a transparent charcoal identification protocol using large databases, wood anatomical descriptions (InsideWood) and the World's largest reference collection of microscopic thin sections of Central African wood specimens (RMCA, Tervuren). As such, we reconstruct ancient environments and we assess past vegetation and climate change. NOVELTREE is a EU financed project designed to enable significant genetic improvement of the composition and characteristics of forest products to satisfy the needs (quality, quantity, sustainability, vulnerability) of consumers and the forest-based sector. UGent-Woodlab specifically helps in developing a high-througput tool-chain for characterization of wood material for selection purposes. Moisture dynamics of plywood is used to identify critical parameters in production and composition of plywood to come to better performance related to limited time of wetness. Furthermore, the effect of coatings on the durability and service life of coated plywood products is determined. An assessment engineering tool is developed during this short term project. In the long run this draft tool will be extended to a ‘predictive engineering tool’ for adequate prediction of moisture behaviour and related service life prediction of optimised plywood. As such this project enlarges the knowledge on the moisture behaviour of plywood on a fundamental level as well as tries to come to a practical approach for plywood testing regarding its moisture dynamics, which is related to durability. 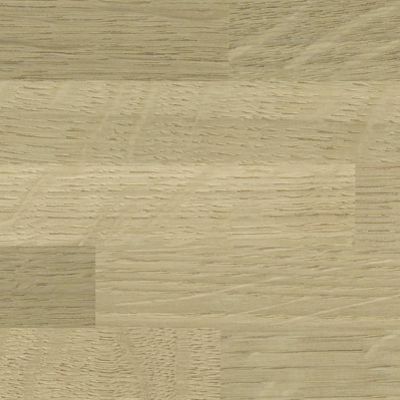 As furniture and parquet producers have complaints about oak wood elements in a product with a too deviant colour, one needs an objective colour measurement to communicate unambiguously. The CIE L*C*hab colour space is the most appropriate to describe wood colour objectively. In this project the spectrophotometer that could group specimens with most accordance to visually determined colour groups was selected, various colour grading algorithms to sort specimens were evaluated and a vast measuring methodology for measuring larger wood samples was developed. Finally the colour change due to transparent finishes and due to weathering of finished and unfinished surfaces was analysed. The main objective of WoodExter was to develop a practical tool for design of wood constructions with respect to durability and service life, based on a similar approach as used in structural design which is familiar to engineers and architects. It was decided to focus on decking and cladding, two major end uses for wood as two test case products to rigorously assess the methodology. The key outcome of WoodExter is a guidance document “Engineering design guideline for wood in above ground applications”. > more information can be found in following document. Both consecutive projects aimed at establishing an assessment methodology for wood coating systems with focus on setting requirements for an adequate performance. The developed assessment methodology is based on the European (pre)standards for exterior wooden joinery coatings taking into account physicochemical weathering, moisture dynamics and biological aspects. For each single test minimal requirements for a sound wood coating system are defined. However, to predict the performance of a coating system for exterior joinery during natural weathering a combination of these requirements is used. Based on the criteria developed in the project a model to certify finished wooden joinery has been drafted. Flax is used for fibre and oil applications, but the different sectors are not involved in each other’s activities. 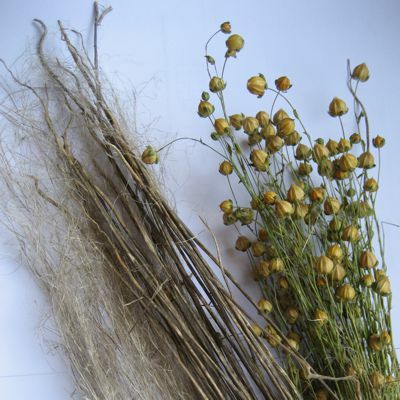 This project consulted flax growers, the various users, researchers and literature to make a state of the art of the knowledge of the flax plant and cultivation and the common and potential future uses. A gap analysis reveals to what extent the present knowledge and technology can meet the needs and questions from the flax sectors. Interfaces between the two sectors and common objectives will be used to prepare research towards the cultivation of a flax plant that can be optimally exploited. In contrast with outdated statement that wood particles in WPC are completely encapsulated and inaccessible, moisture sorption of and even fungal growth on WPC is often demonstrated. 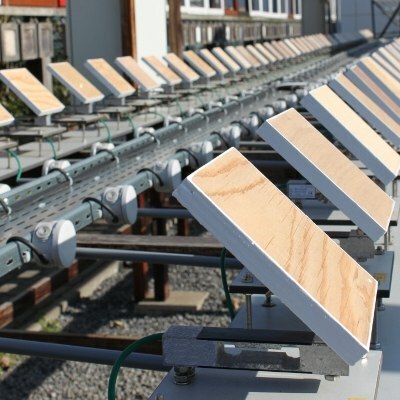 As standards for fungal testing of this material refers to standards developed for wood based panels, the moisture behaviour of WPC was compared to that of wood based panels. Moisture sorption of WPC is significantly slower, but reaches after levels of moisture content all above the minimum level for fungal growth. This study indicated that a specific standard for testing biodegradability of natural fibre composites must be developed, taking this alternative moisture behaviour into account. Poor fibre/matrix adhesion is an obstacle for high performance natural fibre composites. Several fibre treatments were tested with flax and treated flax being processed into epoxy or polypropylene composites. 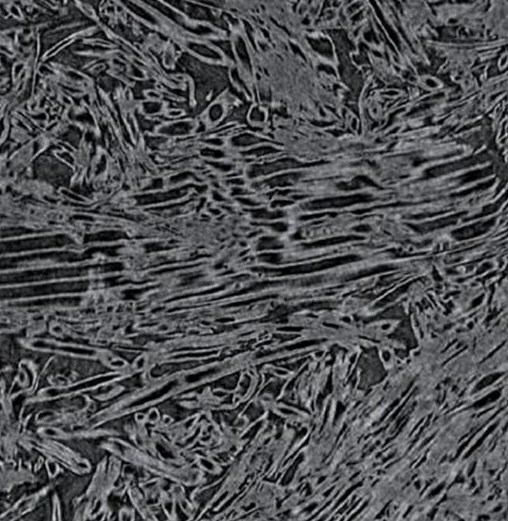 The effect of the treatments was visualised by SEM and micro-CT images of fibres and broken composites. Three point bending tests and pull out tests were used to assess the strength properties of the resulting composites. Concerning durability, the moisture dynamics of the treated fibres and the dynamical stability of the composites were determined, as well as the biological durability of treated fibres and its composites.